*Kits with an enforced M.A.P. (minimum advertised price) are not included in this sale. LabelPeelers.com is a premium beer and wine making retailer, offering the finest beer ingredients, beer making equipment, wine ingredients and wine making equipment. Our brick and mortar location is in Ravenna, Ohio, but our online store happens to be on every computer with an internet connection. We are located close to our suppliers . This allows us to have a unique opportunity, transporting our stock to our store, which cuts out the shipping cost . Our unique location allows us to have the freshest ingredients at a lower than normal price. 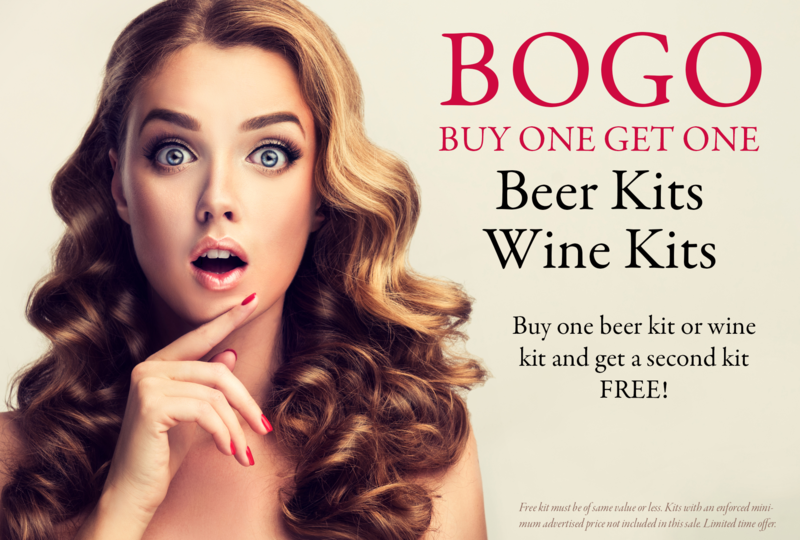 We are excited and proud to offer these great beer making and wine making supplies on line. Our prices are as low as a living profit will permit. Honest ingredients at an honest price. LabelPeelers.com strives to bring you the best with value. Your grandfather made wine. You can too. What Equipment Do I Need for Winemaking? What do I need to start brewing my own beer? Essential Homebrewing Equipment!